Anyone can fall victim to a lockout by locking himself out of the vehicle. No matter, its day or night, waiting on the roadside for an assistance can greatly risk your security. By hiring an emergency locksmith who can readily reach you within the shortest possible time, you can get back inside your vehicle. Only a licensed technician can provide immediate assistance by duplicating or rekeying the car key. If you have lost your car keys or have misplaced them, but want to reach anywhere with urgency, the only person that can help you access your vehicle is an auto locksmith. By calling a specialist for emergency assistance, you can get your car lock or key replaced on the same day. There is no need to tow your vehicle to a locksmith shop for service. From standard car key replacement to laser cuts, reverse cuts, sidewinder, or internal grooves, an expert can do them all. Is your car remote not working? If yes, you can rely on a professional to make it function like it did before. Only an expert auto locksmith can reprogram a car door operating remote for all car makes and models. Along with remote, an emergency assistance for programming includes the transponder and smart key programming. In adverse situations, an ignition key may get stuck in the ignition or won’t turn in the ignition. An experienced car lock technician can rekey or create a duplicate key for the ignition so as to make your automobile start again. These are the few common emergency auto locksmith services that are offered by an expert lock technician. 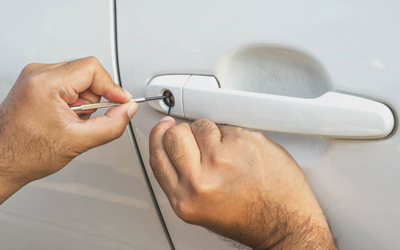 If you are facing any car lock emergencies, feel free to call our expert at Fort Saskatchewan 24/7 Locksmith for immediate roadside assistance.